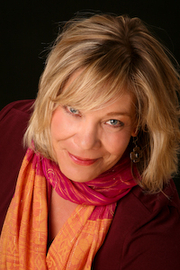 Wendy Francis is a former senior editor in book publishing. Her writing has appeared in local magazines, such as The Improper Bostonian. She is currently a freelance editor and writer living outside of Boston. Barbara Samuel's book The Sleeping Night was available from LibraryThing Early Reviewers. Barbara Samuel's book The Garden of Happy Endings was available from LibraryThing Early Reviewers. Barbara Samuel's book The Secret of Everything was available from LibraryThing Early Reviewers. Barbara Samuel is currently considered a "single author." If one or more works are by a distinct, homonymous authors, go ahead and split the author. Barbara Samuel is composed of 5 names. You can examine and separate out names.